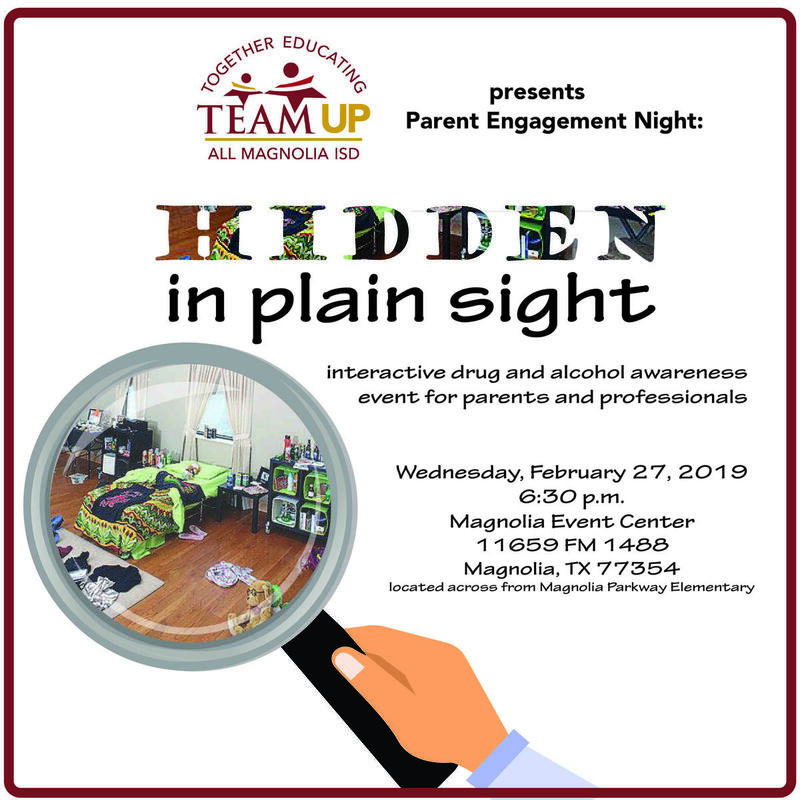 Magnolia, Texas (February 8, 2019) - As part of Magnolia ISD’s TEAM UP series (Together Educating All Magnolia ISD), on Wednesday, February 27 at 6:30 p.m at the Magnolia Event Center, parents are invited to browse through a mock teen bedroom to notice signs that might indicate underage alcohol use, vaping, or other drug use. Knowledge is power, and parents need current information to keep young students healthy and safe. Hidden in Plain Sight will allow parents to sharpen their detective skills as a parent. “Parenting is complex and it begins with a warm, loving relationship between parent and child,” says Judy Mezey, Director of Community Based Programs for Student Assistance Services.